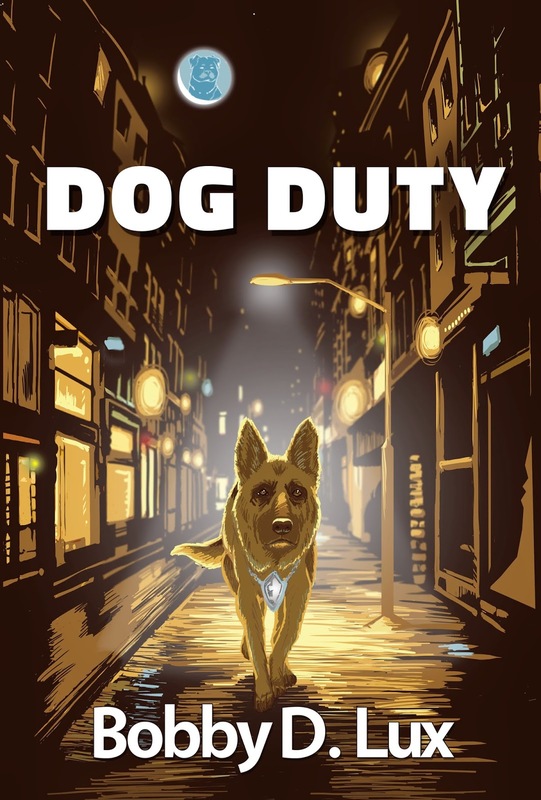 Dog Duty is the debut novel from Bobby D. Lux. It tells the tale (or "tail"?) of Fritz, a German Shepherd who was once the top dog of the Grand City Police Department . . . literally. There's police dogs and then there's Fritz. A true dog's dog. A dog neither afraid nor jaded by the streets he patrols and the criminals he chases. But in a moment, everything can change. On another routine late-night foot pursuit, Fritz is confronted by Clay, an ex-military Rottweiler "custom built with one-syllable efficiency. Bite. Maim. Kill." Fritz' injuries force him into retirement to live a life of backyard boredom surrounded by suburbanite hounds of all shapes and sizes. But that won't do for a dog like Fritz. Fritz embarks on a quest for revenge and redemption in this adventure that takes him through the seedy canine underworld of cat-races, underground clubs, back alleys, and dog parks. Along the way, he encounters criminals of all breeds, derelict mutts, beauty queens, and a hotshot young K9 hungry for publicity. And the end of that road is where Fritz will find Clay. That's where revenge is. "...excellent of humor; a talented young writer, eager to make a place for himself in the literary world." "His stories were uniquely his own, knowing and funny, sometimes in a deadpan manner." The novel is being released as a free weekly serialized audio book podcast. You can subscribe to it on itunes or find it here on my website. Or, Check out every episode below!